You didn't think we'd forget about the important men in weddings, did you? 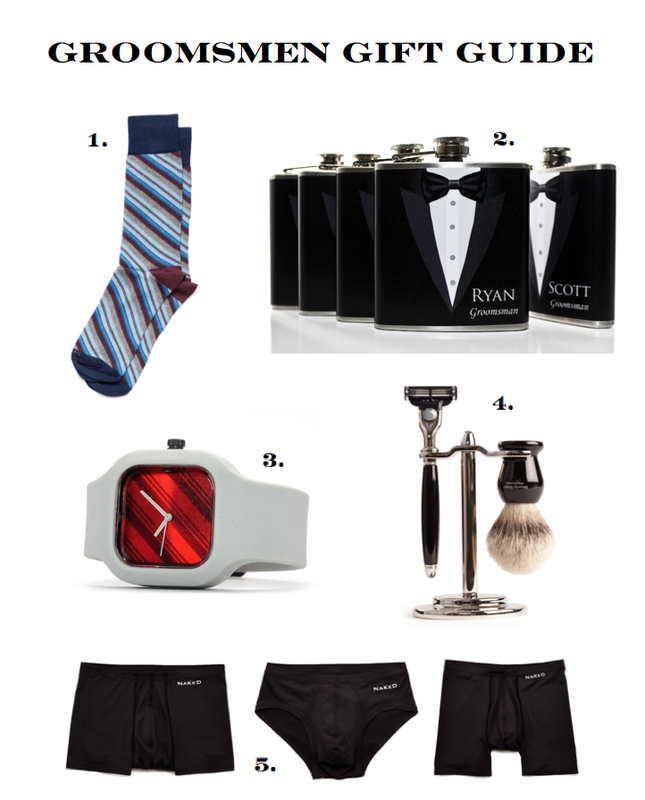 After the success of our 6 Adorable Budget-Friendly Bridesmaid Gifts post, we knew we had to create a similar roundup for groomsmen. It's no secret that shopping for males is much more difficult than females (am I right, ladies?) and, while they'd probably be content with video games or a day of food and football, that doesn't quite seem appropriate as a groomsmen gift. So, we pulled together 5 awesome products that bridge the gap between fun and practical and say "thanks, man!" in the coolest way possible. These are not your ordinary cotton socks; no, these Peruvian Pima socks from hook+Albert might just be the very best. With built in arch-support, a contoured stitched heel to prevent bunching and a nylon fabric that promises to retain elasticity (no matter how much they stretch), your favorite men can take their place at the end of the aisle feeling stylish and comfortable. Flasks seem to always make the list of go-to groomsmen gifts; however, we couldn't resist the custom personalized designs from thehairofthedog on Etsy. Each flask is constructed with high-quality stainless steel and printed with cold-pressed laminated vinyl that is water (and alcohol!) proof and scratch-resistant. Party on, boys! The super-trendy watches from Modify Watches are customizable, unisex and can be personalized with a variety of different face designs and band colors. 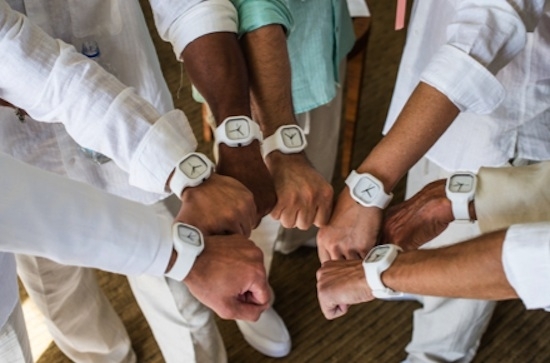 For weddings, we love the idea of coordinating watches with your groomsmen attire so they can all sport matching accessories on your big day. The best part? They're still functional and cool after the wedding so the trendiness never ends. Ensure that your groomsmen look just as clean and polished as you by gifting them with a luxurious razor and brush set from The Art of Shaving. With a variety of styles, colors and razor-types to choose from, your guaranteed to find something perfect for every guy in your party and the classic design is guaranteed to stand the test of time. Time to kiss nicks, burns and stubble goodbye for good! Yes, we went there. But these underwear from The Naked Shop are out-of-this-world awesome. The luxury garments are micromodal, microfiber and completely seamless, making them ideal for underneath suits. Fun Fact: Naked was the only brand of underwear seamless enough to be worn under Spiderman's costume in the most recent film. Naturally, the wardrobe department ordered 75 pairs to last throughout the production-- those are some serious briefs.